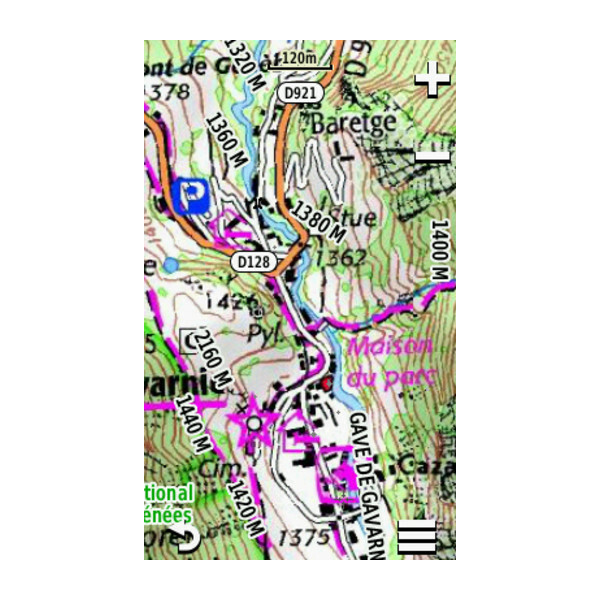 Explore the mountains of France (Alps and Pyrenees) with detailed 1:25 000 topographic IGN French maps. 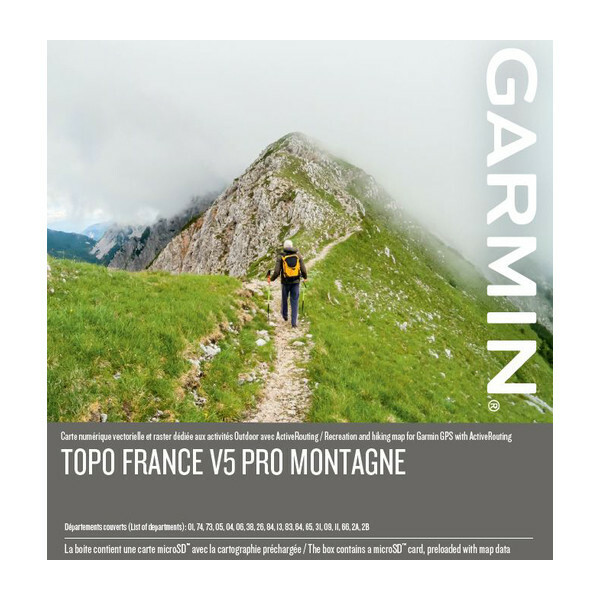 Garmin TOPO Pro Montagne (Mountains) includes 27,000km of FFR hiking trails and FCC mountain bike trails throughout the map coverage. 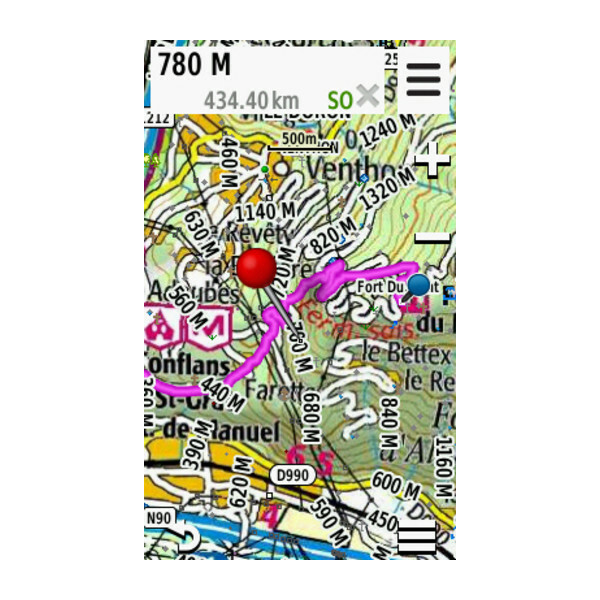 Garmin French Montagne topographical maps are the perfect partner for the compatible Garmin handheld device if you want to explore the mountains of both the Alps (South Eastern France) and Pyrenees (South Western France). 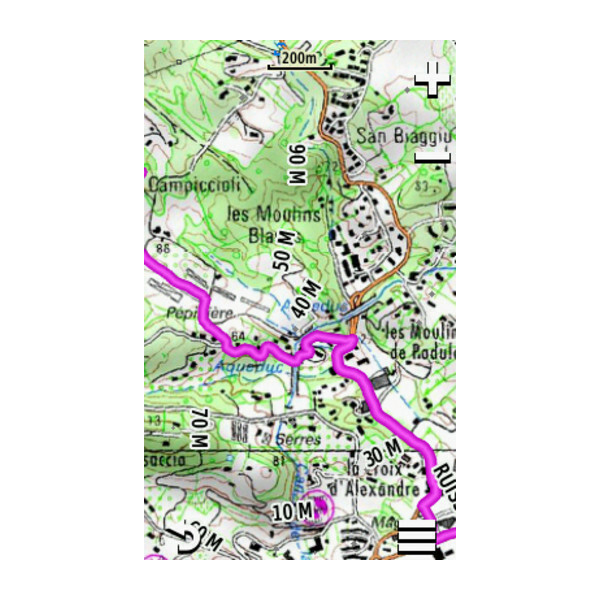 The map include detailed 1:25 000 IGN France map detail which includes contours, elevations, mountain summits, trails, paths and roads. 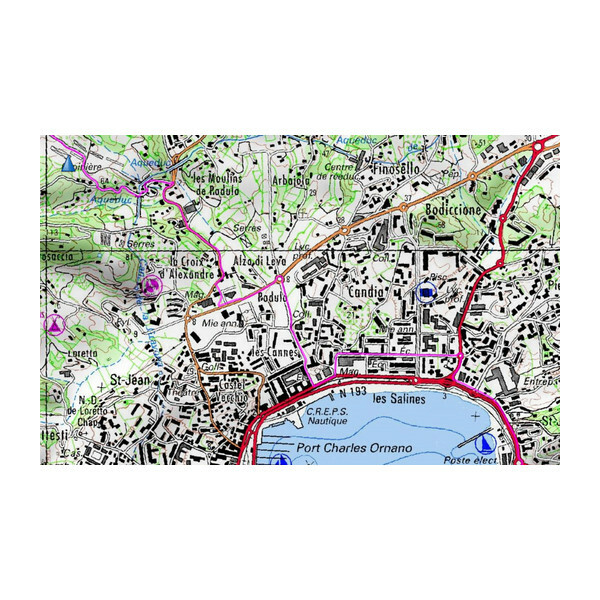 Topo France Montagne maps are provided on microSD/SD card. 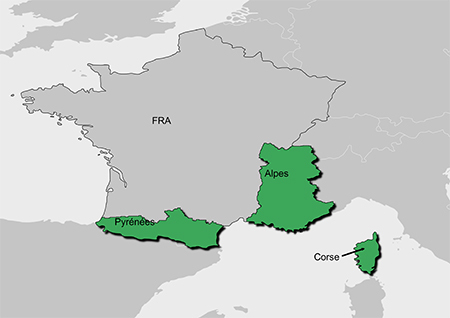 The TOPO France v5 PRO Montagne map on microSD/SD card provides detailed contour and elevation information for the Alps and Pyrenees regions of France. 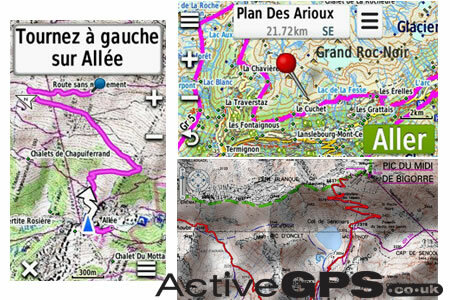 Garmin topo maps French Mountains also includes ActiveRouting which will choose the best route specific to the type of outdoor activity you are doing. You can choose from walking, hiking, mountaineering, road cycling, tour cycling and mountain biking. If you selected mountaineering it will choose a steeper, more rugged path than if you select walking. Please note: ActiveRouting supported by BaseCamp on Windows/Mac and Montana, GPSMAP 62, 78, Edge 810, and Oregon x50, 6x0 devices. 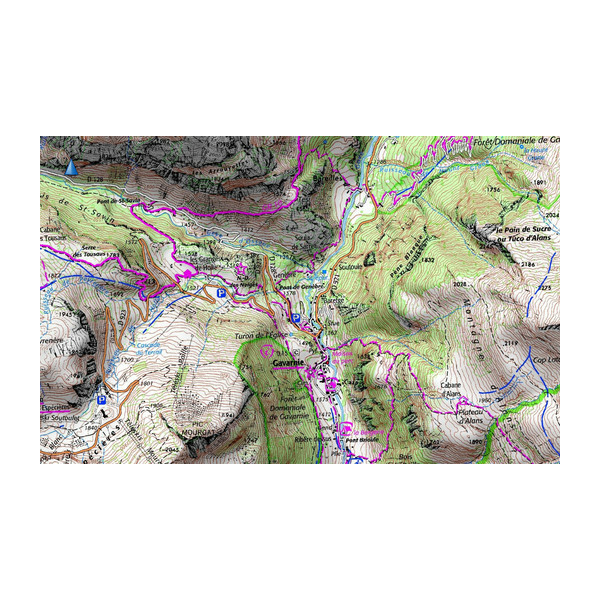 TOPO French Mountains mapping comes supplied on a microSD inside a larger SD card adaptor. To install insert either the full size SD or microSD card (depending on model) into a your Garmin's SD card slot.